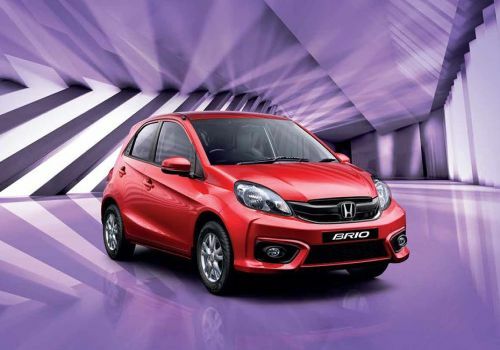 Honda Brio comes with an 1198cc, SOHC i-VTEC petrol engine that generates 88 PS of power at 6,000 rpm with 109 Nm of torque at 4,500 rpm. It gives a mileage of 19.4 kmpl and 16.5 kmpl for manual and automatic version respectively. 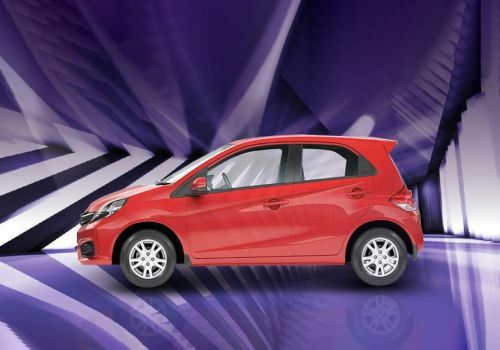 Brio’s biggest competitors are Grand i10, Figo, Celerio and Swift. 998cc, K10B engine is used for both petrol and CNG versions. The petrol engine generates a power of 68 PS with 90 Nm of torque. On the other hand, the CNG mode churns out 59 PS of power with 78 Nm of torque. Mileage: 23.1 kmpl on petrol and 31.7 km/kg on CNG. 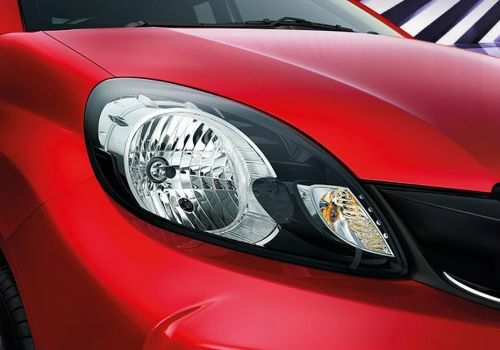 Brio comes fitted with a curvy headlight cluster, which is incorporated with powerful halogen headlamps and side turn indicators in the corner. The short swept back unit is the same as seen in the Amaze. The oval shaped fog lamps are housed in black casing in the bumper. 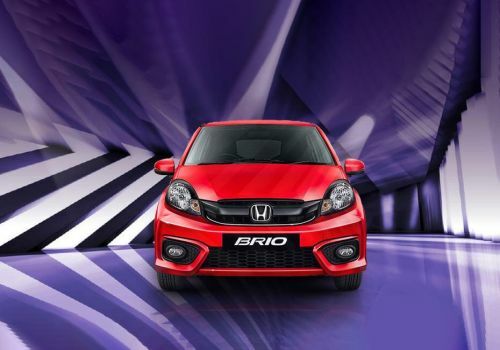 Brio has a large radiator grille, which is fitted with a bold chrome plated slat. This grille is embedded with a prominent company logo in the centre, which gives the frontage a distinct look. 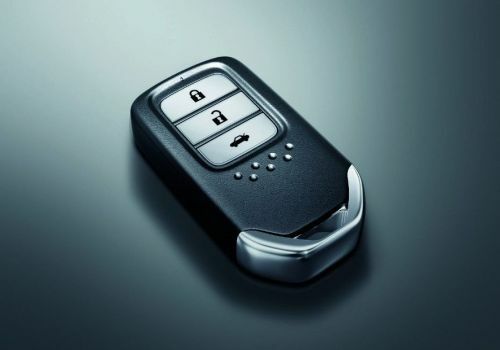 Brio offers keyless entry in top three variants. Grand i10 features smart key with push button start/stop and keyless entry in higher variants. Figo features ‘My Ford Key’ functionality in the top variants. Keyless entry is present in the top two variants of Swift. 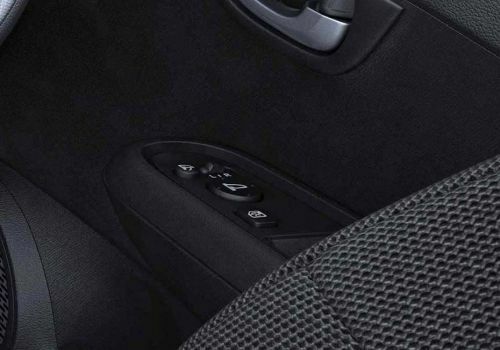 Keyless entry is available only in the ZXi variants of Celerio. Brio gets 175/65 R14 tyres in all variants. Top two variants of the car come equipped with alloy wheels while other variants get steel rims. Ground clearance of the car is 165mm. The base variant of Grand i10 comes equipped with 14-inch steel wheels. Whereas, the higher variants get 14-inch alloy wheels wrapped in 165/65 tyres and 15-inch diamond cut alloy wheels covered by the tyres of size 175/60 R15. Ground clearance of the car is 165mm. The top-end variants of Swift come equipped with alloy wheels wrapped in 185/65 R15 tyres for the top variants. The remaining models get steel rims with 165/80 R14 tyres. 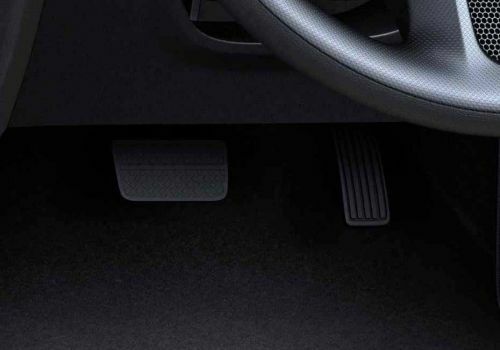 The car has a ground clearance of 170mm. 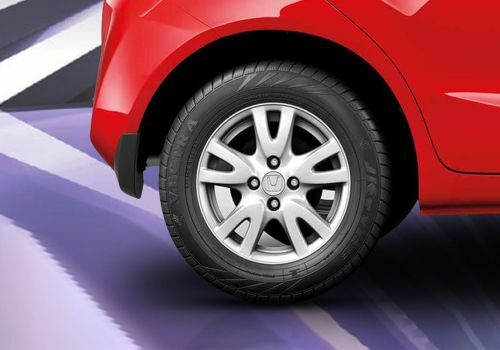 14-inch alloy wheels wrapped in 175/65 R14 tyres are used in the top two variants of Figo. Ground clearance of the car is 174mm. Celerio comes equipped with 155/80R13 tyres, all the other variants get 165/70R14 tyres. The ground clearance of the car is 165mm. The dimensions of Brio are: 3,610mm x 1,680mm x 1,500mm (L x W x H). The car sits 165mm above the ground. Grand i10 is 155mm longer, 20mm less wide and 20mm taller than Brio. 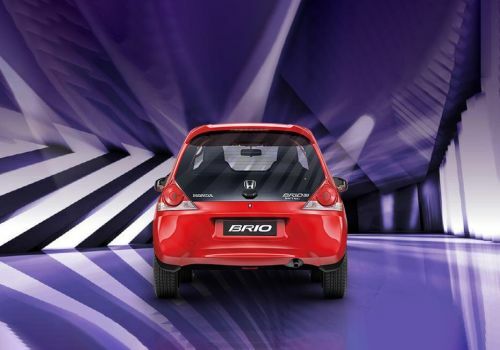 It equals Brio in ground clearance. Figo is 276mm longer, 15mm wider and 25mm taller than Brio. It has a ground clearance of 174mm. Swift is 240mm longer, 15mm wider and 30mm taller than Brio. It has a ground clearance of 170mm. Celerio is 10mm smaller, 80mm less wide and 60mm taller than Brio. It equals Brio in ground clearance. Brio comes in 6 colors: Magestic Blue, Urban Titanium, Rallye Red, Taffeta White, Crystal Black Pearl and Alabaster Silver. 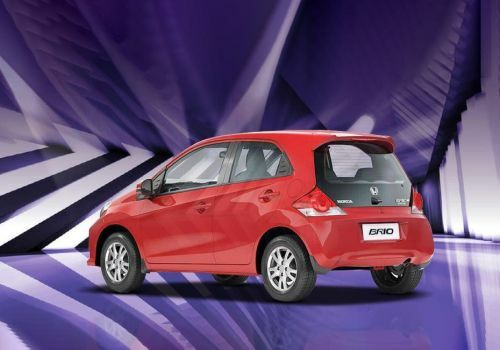 Brio comes equipped with front disc brakes and rear drum brakes for all variants. ABS+EBD comes in top two variants of the car. All the competitors of Brio come equipped with front disc brakes and rear drum brakes. Top two variants of Figo get ABS+EBD. The Z variants and VDi model of Swift get ABS+EBD. Grand i10 gets ABS in the top-end variant as an option. 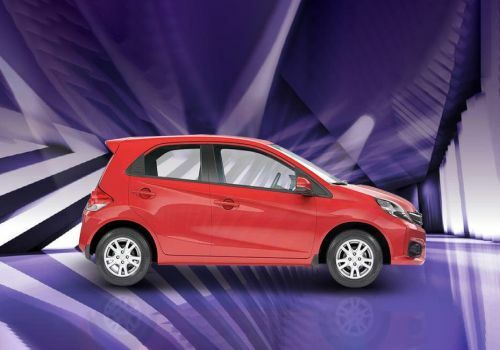 ABS is available in the ZXi (O) variant of Celerio. 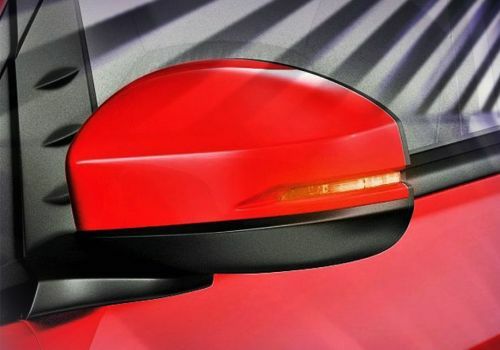 The tail light cluster on the Brio is a triangular unit which is dominated by a round brake light in the centre. The wrap around unit is cleverly designed by the company to suit the small shape of the car. 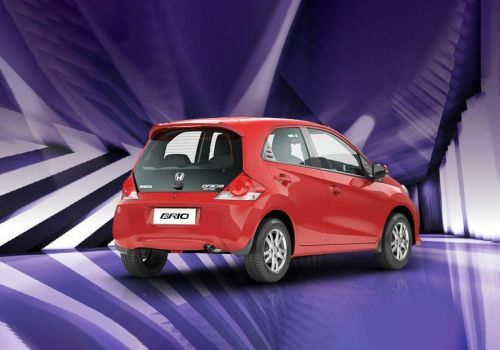 Brio has got a boot space of 175 litres which can be further extended by folding the rear seats. The boot space of Grand i10 is 256 litres. Swift has a luggage carrying capacity of 204 litres. Figo has a boot space of 257 litres. The boot storage capacity of Celerio is 235 litres. 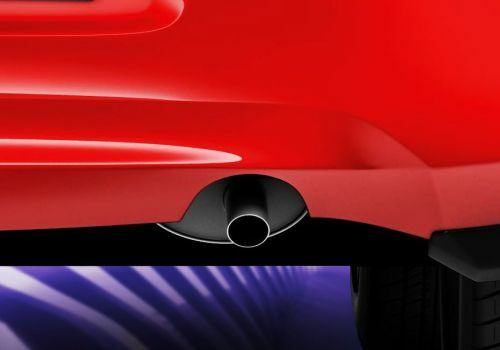 Brio does not feature rear parking sensors in any variant. 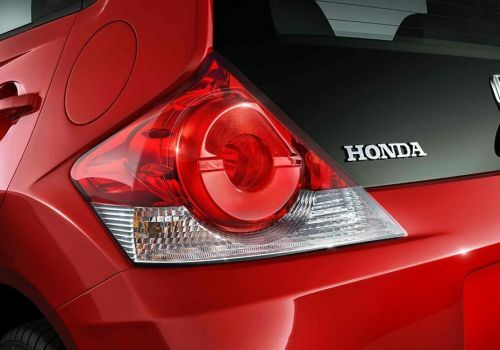 Swift features rear parking sensors in top variants to assist the driver with parking. Grand i10, Celerio and Figo does not get rear parking sensors. 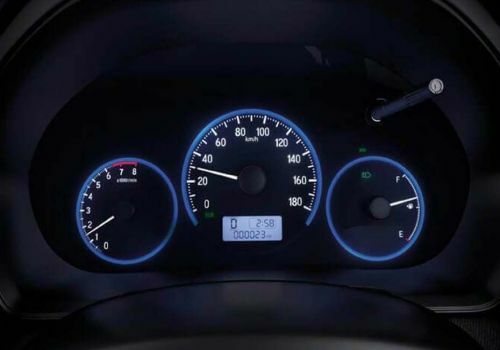 Brio has an advanced instrument panel which is equipped with a lot of features like fuel consumption, digital clock, electronic trip meter, digital tachometer, low fuel warning light, door ajar warning and driver seatbelt warning notification. 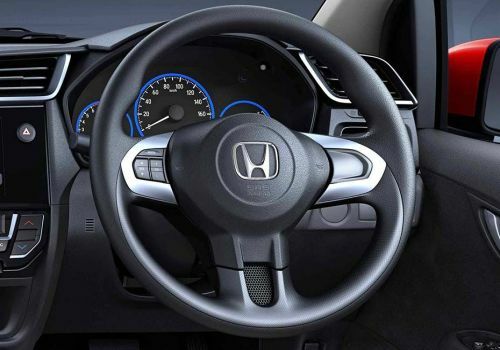 The tilt and telescopic adjustable three-spoke steering wheel makes it easy to handle the vehicle even in heavy traffic conditions. 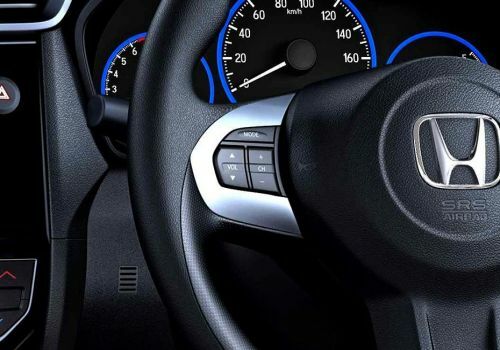 Brio gives an option to choose from a 5-speed manual gearbox and a 5-speed automatic transmission in the top trim, the remaining variants get 5-speed manual gearbox. 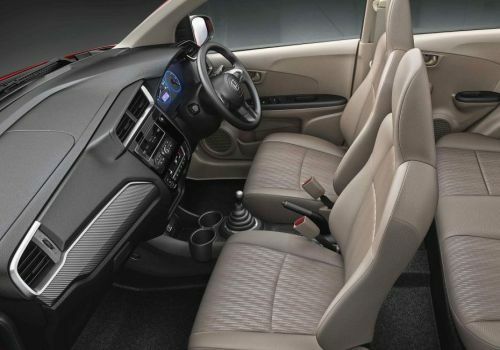 Grand i10 is offered either with a 5-speed manual gearbox or a 4-speed automatic transmission. 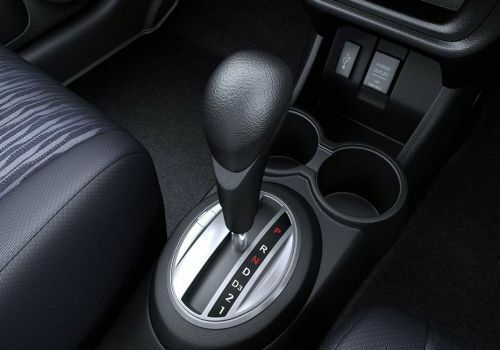 Except for the VXi model of the Swift that gets a 4-speed automatic transmission, all variants get a 5-speed manual gearbox. 1.5 litre petrol Titanium variant of Figo comes mated to a 6-speed automatic PowerShift transmission while the other variants come with a 5-speed manual gearbox. 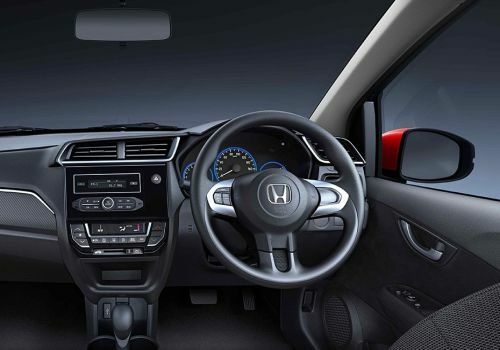 The petrol version of Celerio comes with an optional 5-speed auto gearshift along with a standard 5-speed manual transmission, that is also available in CNG and diesel versions. 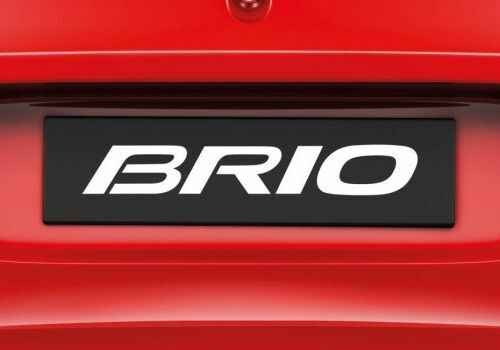 Brio’s E trim lacks a music system altogether, in the EX variant there is a 1-DIN audio unit with coin box that is integrated into the trims which can support multiple players. These include a radio tuner with an antenna, which have an AM and FM functionality. It also has a CD player and an Aux-in support along with USB. The other variants are bestowed with an advanced technology based music system which has a DVD player USB plus Aux-in ports and along with them it has an iPod support too. It has a radio tuner that has an FM and AM tuner to it. 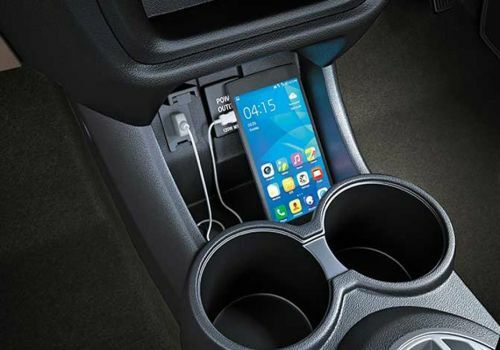 It has been blessed with a Bluetooth connectivity that is a great advantage. This is further assisted with a 15.2 inch screen, which has a touch capacity to it. 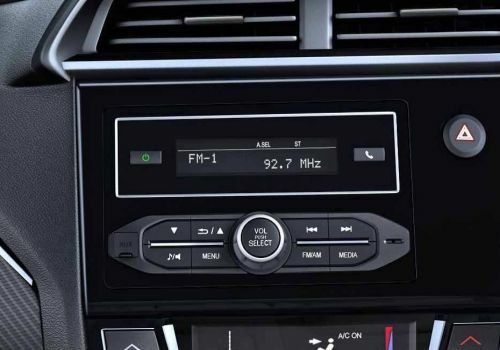 Along with audio capability, it further has a visual navigation system available within it. 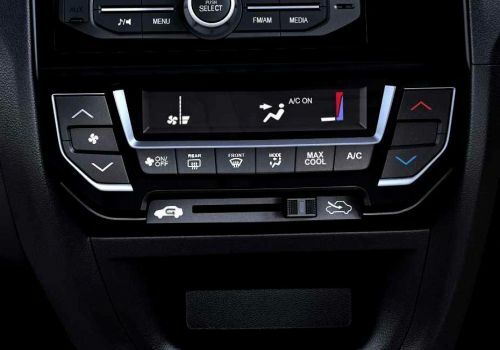 The AC knobs are placed below the music system in a triangular fashion. 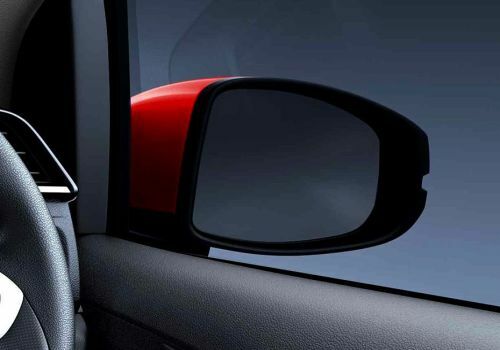 Brio gets front power windows as a standard feature. 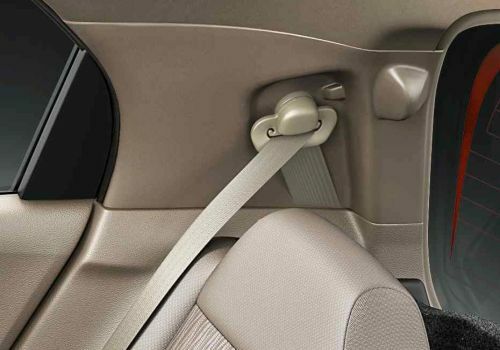 While, rear power windows and front power window auto down feature is available in top three variants. 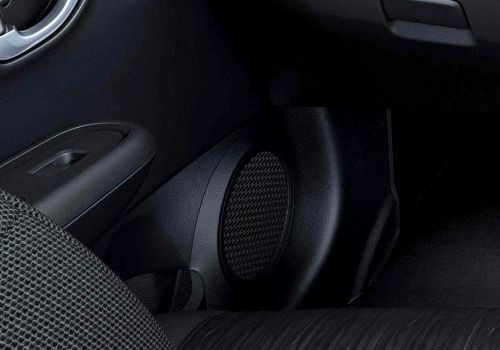 Brio has got numerous storage spaces like front door lining pockets, front and rear cupholders in the centre console, seatback pocket and rear parcel shelf. 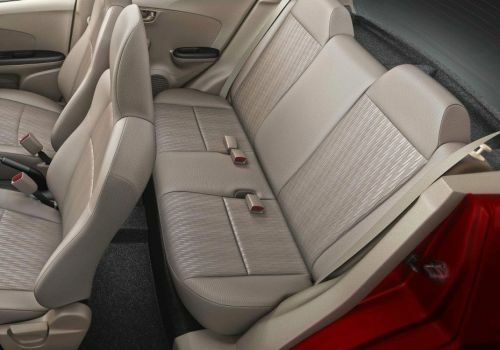 The rear seats of Brio are completely foldable to further increase its luggage carrying capacity. 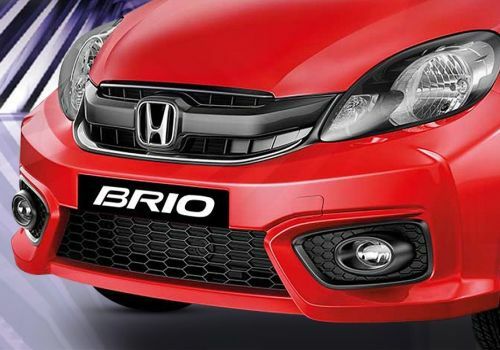 Brio offers dual front airbags in its top variant. Grand i10 and Swift get dual front airbags in the top trims. Figo has dual front airbags as standard with 6 Airbags in the top variant. 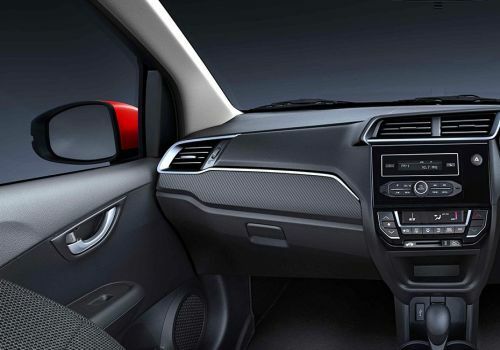 Only the ZXi variants of Celerio come equipped with airbags. 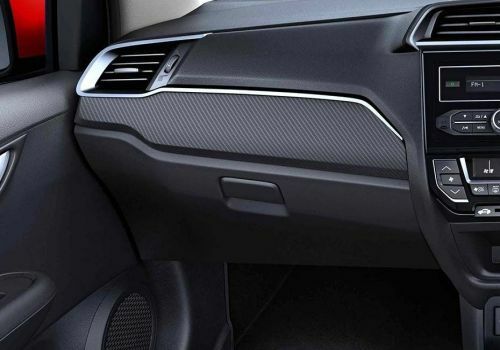 ZXi gets a driver side airbag whereas ZXi (O) model houses dual front airbags. 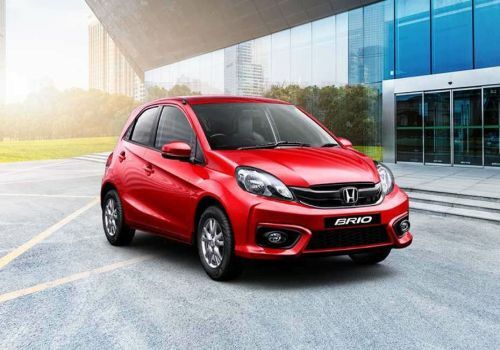 Brio houses height adjustable driver seat in top three variants. 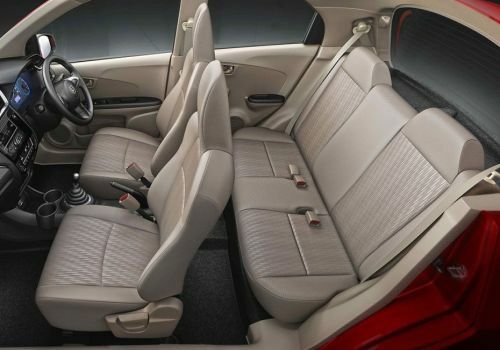 Grand i10 offers the largest space for the rear passengers. Figo comes second in this list followed by Swift. Brio is at par with Celerio in terms of space.